Des Moines, Iowa (Feb. 6, 2017) – Neil DeGrasse Tyson and Bill Nye make learning about science look like tremendous fun. But what’s better than reigniting childlike wonder by exploring electricity, nature, and physics? Warriors and families who attended a recent Wounded Warrior Project® (WWP) connection event enjoyed hands-on activities when they spent the day at the Science Center of Iowa and learned about WWP programs. Connection events allow warriors and families to experience firsthand what is possible when they reduce isolation and bond with fellow wounded veterans. Warriors and families viewed exhibits at their pace, with the facility to themselves. Not standing in lines with large crowds reduced anxiety for warriors. 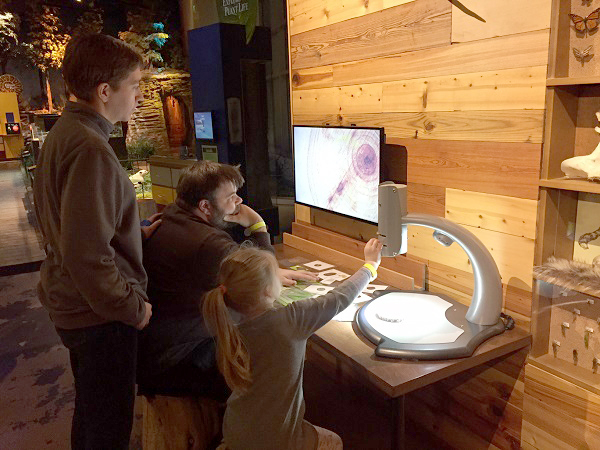 Guests worked at interactive learning stations while rediscovering the thrill of science alongside their children for an unforgettable connection experience. Classics like the electrifying Van de Graaff generator – known for providing a “hair-raising” experience – and newer exhibits like the Chair of Nails and Tornado Tubes fascinated guests and reawakened their curiosities. Along with recreating unique military bonds, family unity is central to WWP social gatherings – and it is a main highlight for participants. The 2016 WWP Annual Warrior Survey highlights the importance of connection at WWP outreach events. These settings support the long-term recovery of warriors with physical injuries and social anxieties. For photos from this event, click on multimedia, then images.